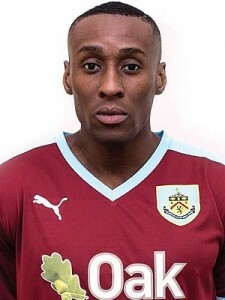 Lloyd Dyer, who signed for the Clarets on a short term deal in February 2016, yesterday signed a similar deal with Bolton Wanderers who were looking for cover for the injured Sammy Ameobi. The experienced Dyer, who had played for such as Leicester, Watford and Birmingham before arriving at Turf Moor, made just three substitute appearances for us against Birmingham, Middlesbrough and Charlton and certainly made a good contribution in the first of those. He left that summer and spent two years with tonight’s League Cup opponents Burton Albion, for whom he made 80 league appearances, before being released at the end of last season. Dyer, now 36, started at West Brom but made his Football League debut for Kidderminster while on loan in 2003. He’s gone on to play 486 career league games for eleven different clubs.